At the end of the Edo period, the dawn of the modern era, sweeping political reform took place that would alter the Japanese way of thinking. Along with new policies designed to promote industry (shokusan kōgyō) and increase wealth and military power (fukoku kyōhei) came the introduction of Western science. As science was initially considered a means to political ends, its philosophical and theological foundations, forged in the West during the Renaissance and the Age of Enlightenment, were disregarded in favor of a more utilitarian resource allocation. Japan’s first generation of scientists essentially received a set of facts and conventions, already separated into fields such as physics, chemistry, and pharmacology, without the cultural background from which those facts and conventions had originated. This created a unique challenge for the first Japanese scientists, but it also created a space for novel reflection, within which would develop a rich zone of theoretical advancement. 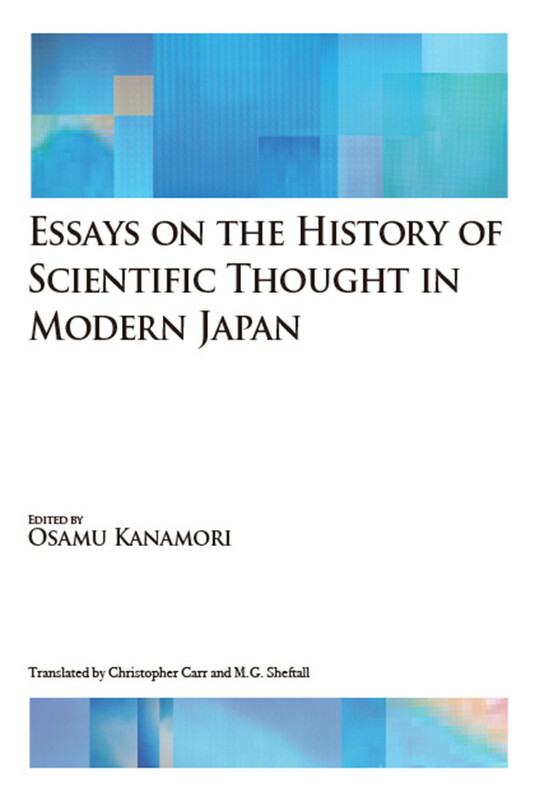 This work, Essays on the History of Scientific Thought in Modern Japan, is an illustration of the development of that space into new interpretations of reality. 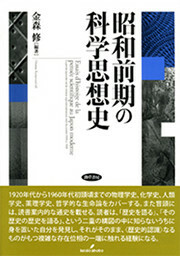 In the historiographical introduction it covers the influence of Marxism, the effects of total war on scientific thought in Japan, paradigm shifts, and the politicization of science. Following this, the book focuses on curious heroes struggling to elucidate the nature of the cosmos within the frothy tide of Japan’s rise to global prominence. In theoretical physics, the text continues by examining the tragedy of Hantaro Nagaoka and the catharsis of Hideki Yukawa. In organic chemistry, the physical and theoretical spaces unlocked by the energy of Rikō Majima are explored. Finally, there is the struggle of Japan to reimagine its own cultural heritage of traditional medicine (kampō) within the new confines of modern science. This book is meant for any academic or lay reader trying to understand the vast changes that took place within Japan in the 20th century. It is a testament to the impact of science on civilization in terms of its capacity to transform even the basic way humans think, and in terms of its frightening tendency to effect uncontrollable change. Editor: Osamu Kanamori (1954-2016) received a doctorate in philosophy from Pantheon-Sorbonne University (Université Paris 1 Panthéon-Sorbonne) and was a professor at the Graduate School of Education at the University of Tokyo. He specialized in French philosophy, the history of scientific thought, and bioethics.